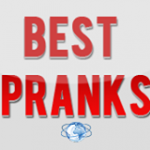 A very comical prank video when boy put small bomb behind of his friend. who was busy in conversation with her girlfriend. Boy was really shocked when he listen huge sound of bomb blast. Even boy run here & there in the lawn. Watch this comical video of Pakistani boy. mujhe karachi me aisa prank btain jaha pr females ki funny videos bnai jati ho. main females ko udhr rawana karuga. Thankx.